Hologram booth installation explaining the role of CGRP in migraine. Initially featured at AAN 2017 and AHS 2017. © 2017 AXS Studio Inc. All rights reserved. Hologram booth installation explaining the role of CGRP in migraine. 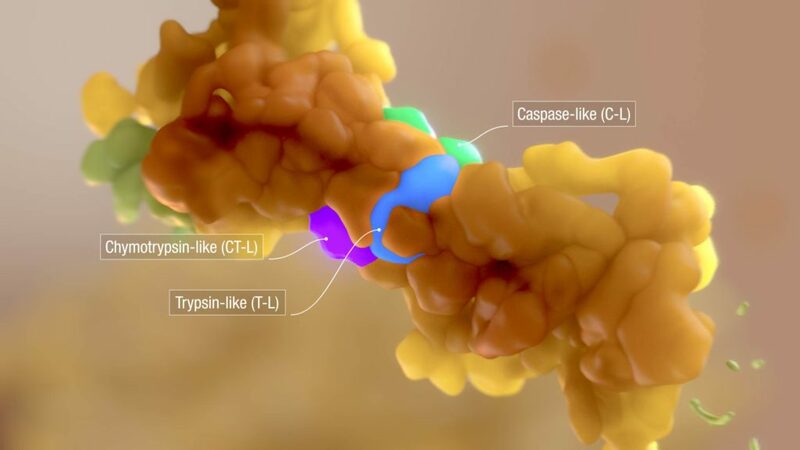 Initially featured at AAN 2017 and AHS 2017. © 2017. All Rights Reserved. This concise animation was designed to loop on a holographic display in a congress booth. 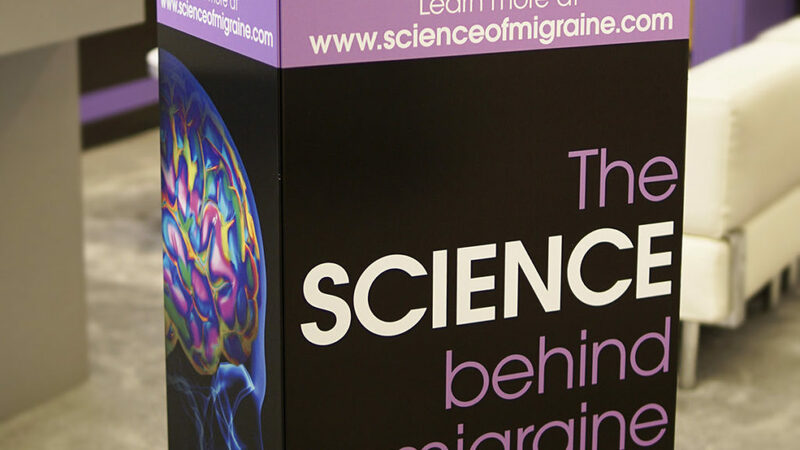 It functions as an educational booth “attract”, along with a full-length MOD video and interactive kiosk that also explore the role of the CGRP molecule in migraine pathophysiology. 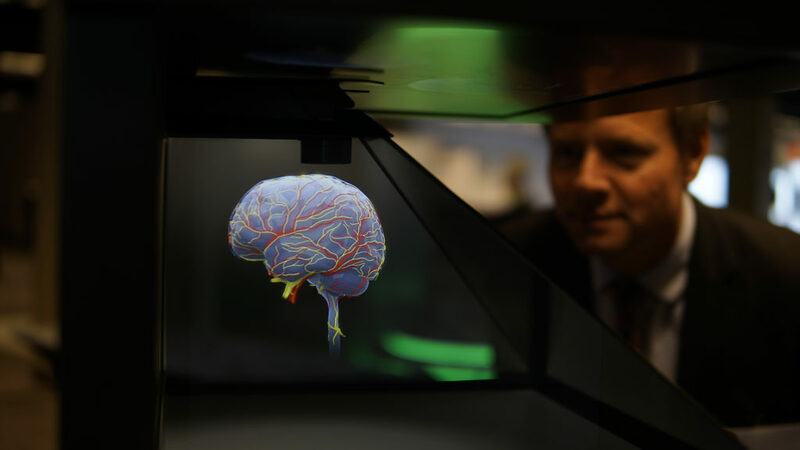 Visitors were drawn the bright 3D brain and CGRP-receptor complex that appear to float before them in the exhibit space.